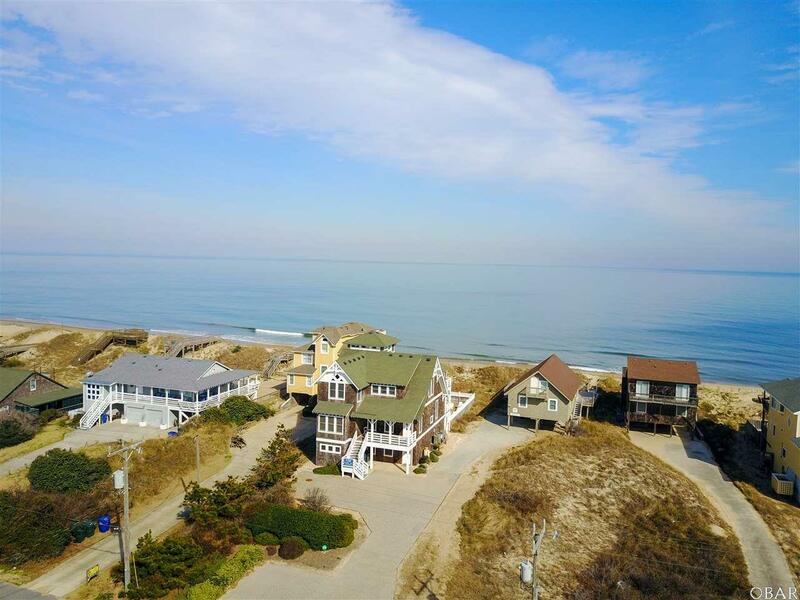 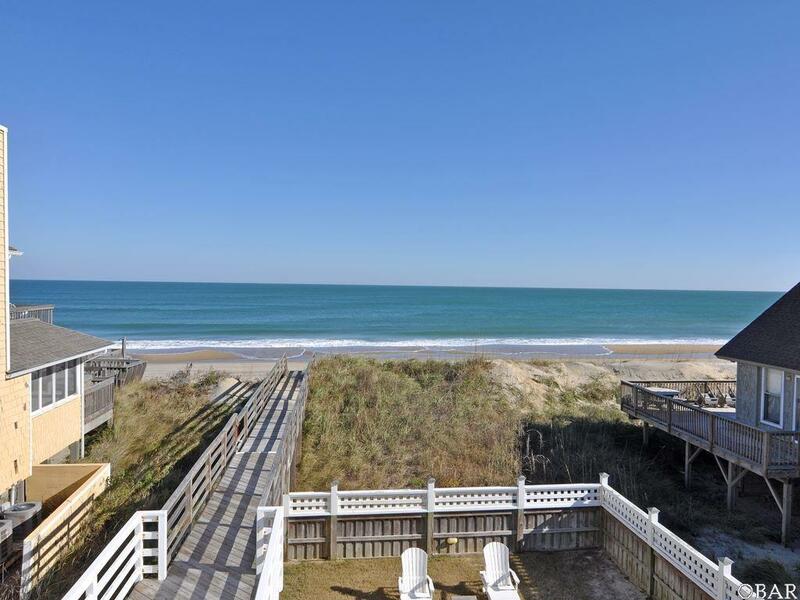 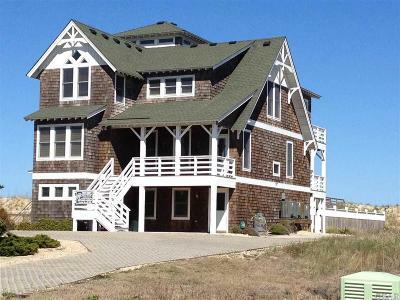 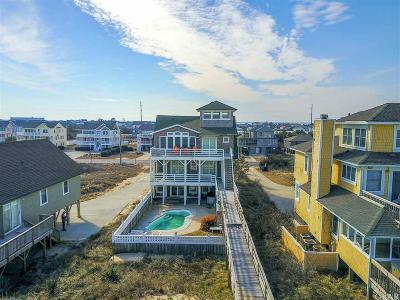 Custom oceanfront home with tremendous curb appeal in prime Nags Head location accented by beautiful coastal luxury style architecture and top-of-the-line finishes! 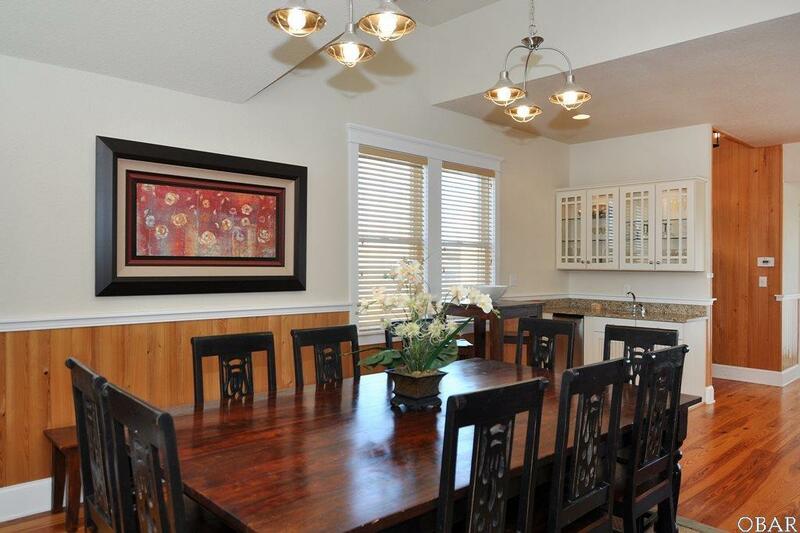 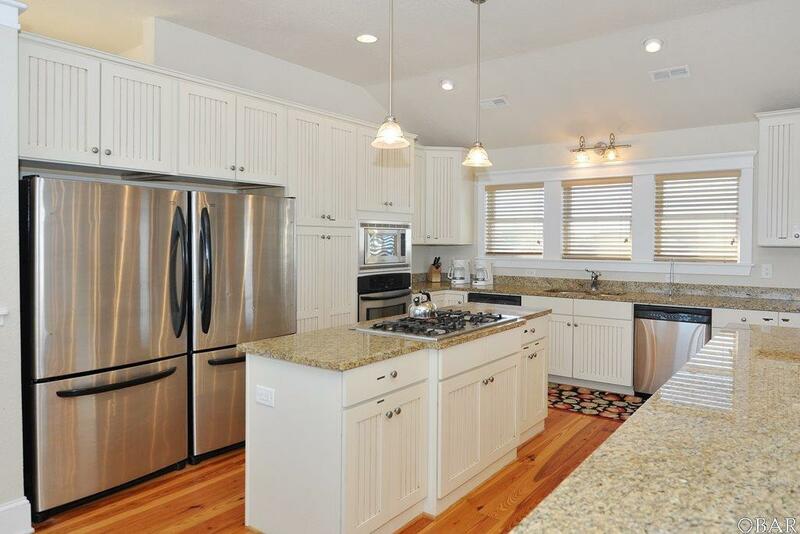 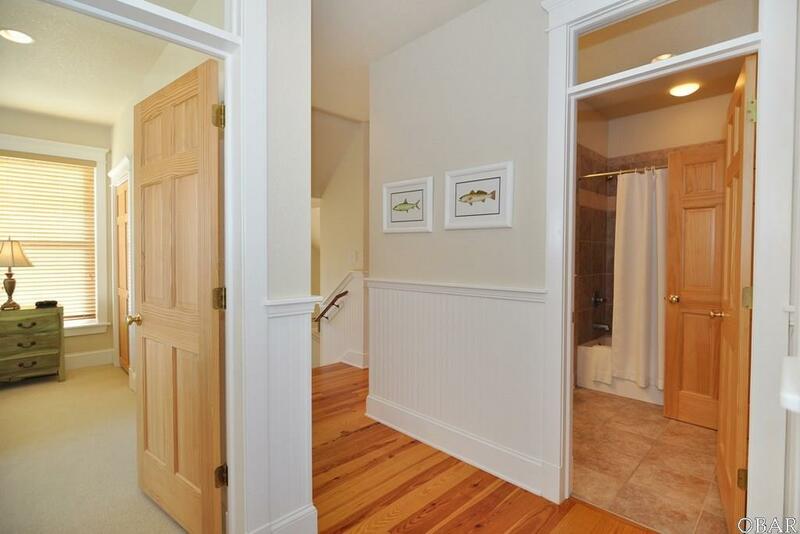 Gorgeous hardwoods, custom tile, & wainscoting line the gracious and flowing common areas. 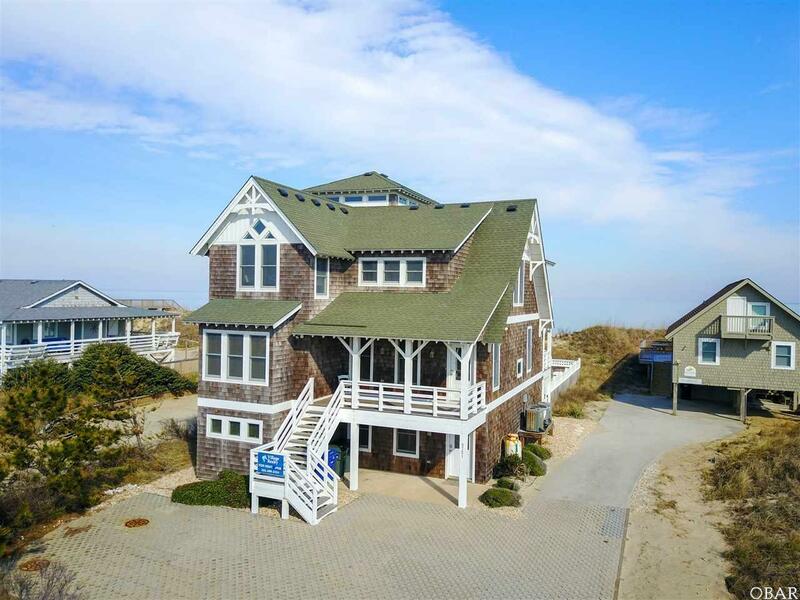 The top floor is breezy, open & airy with incredible ocean views, including a large gourmet kitchen w/granite counter tops, high quality cabinetry & stainless steel appliances (2 refrigerators, 2 dishwashers, tons of counter space!). 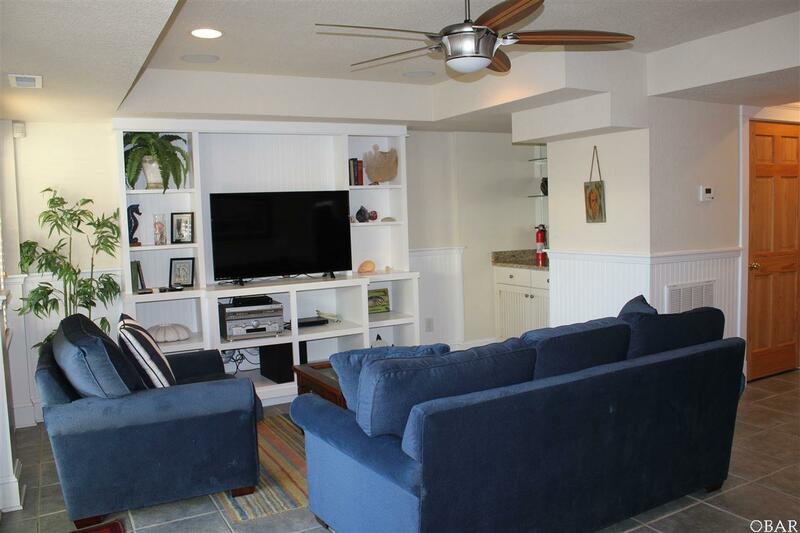 The living room is classic with high end furnishings, plenty of seating, and custom built-in shelving with entertainment center. 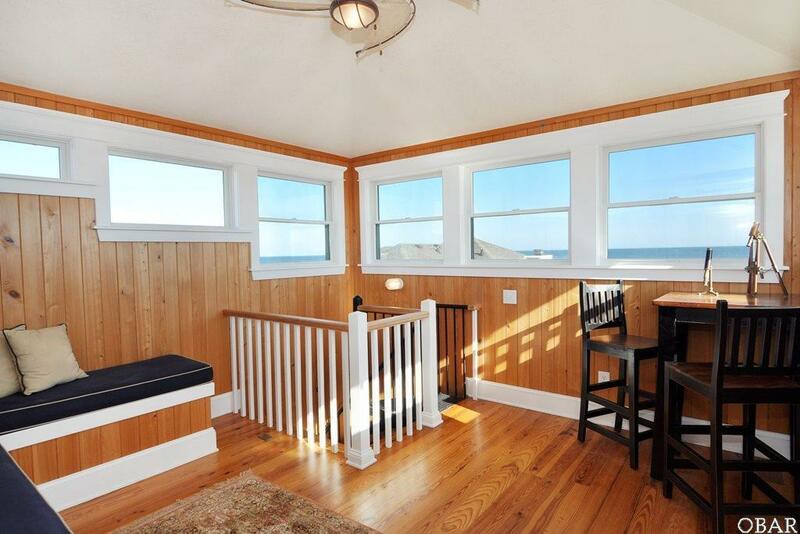 Sneak upstairs to the cozy ship's watch for the best ocean view in the house! Walk right out to the beach from the top floor with steps down to the mid-level walkway overlooking the pool and leading to the ocean. 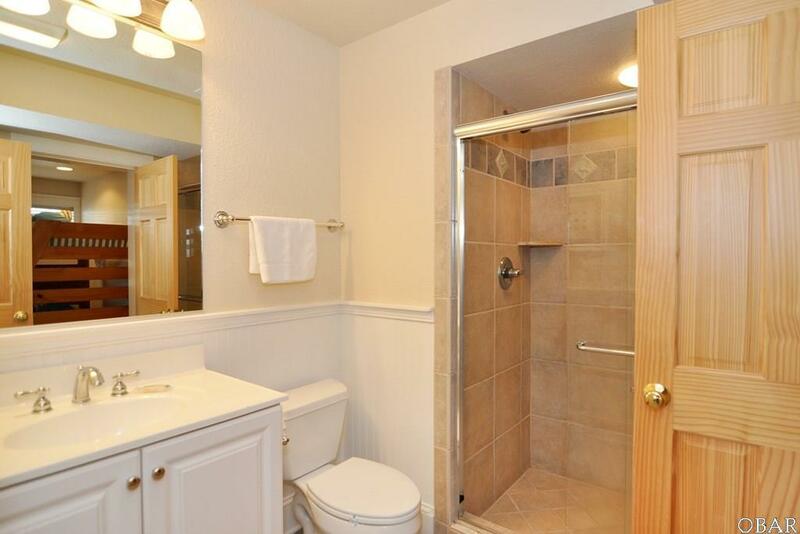 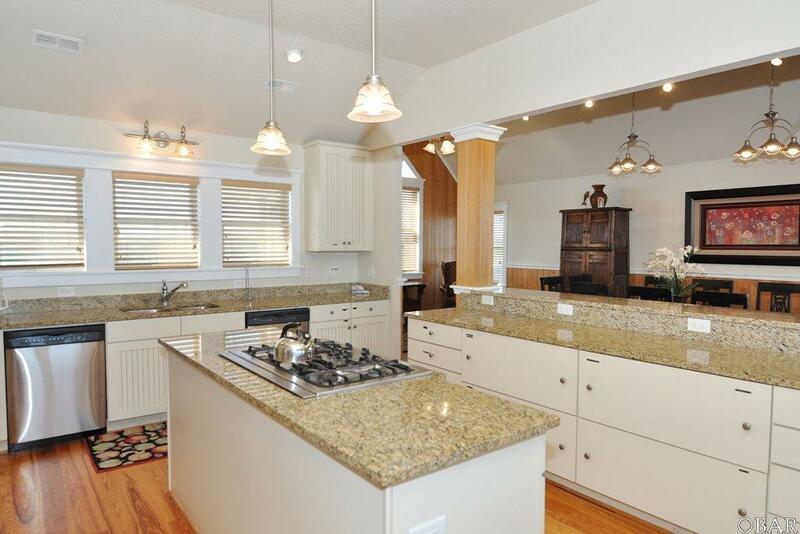 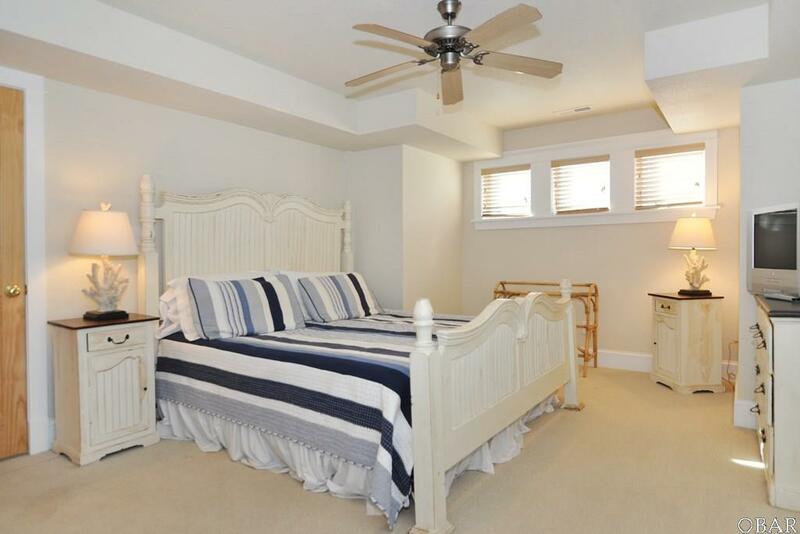 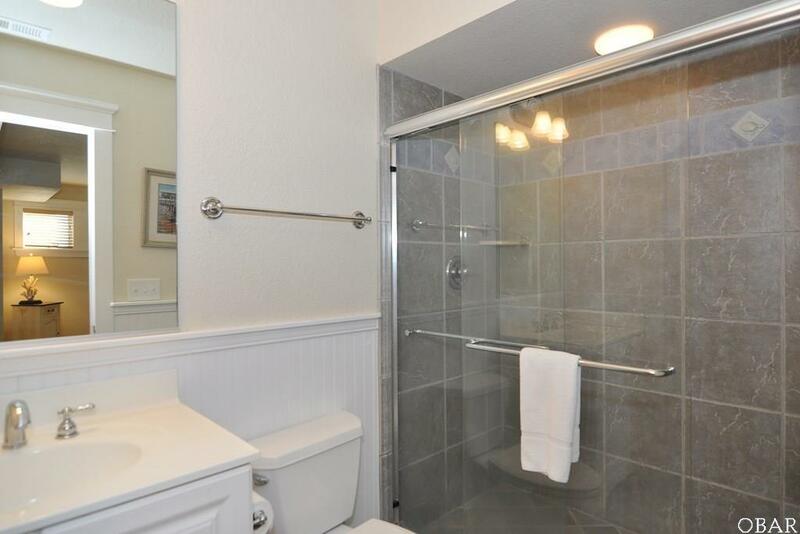 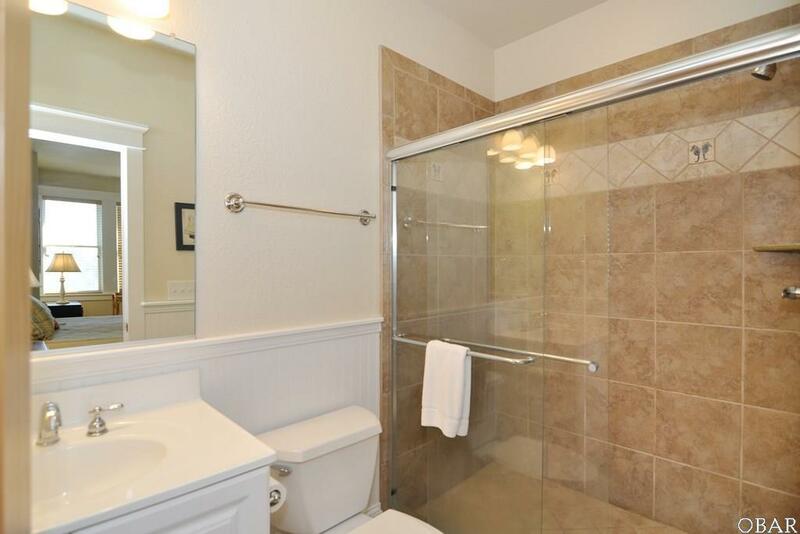 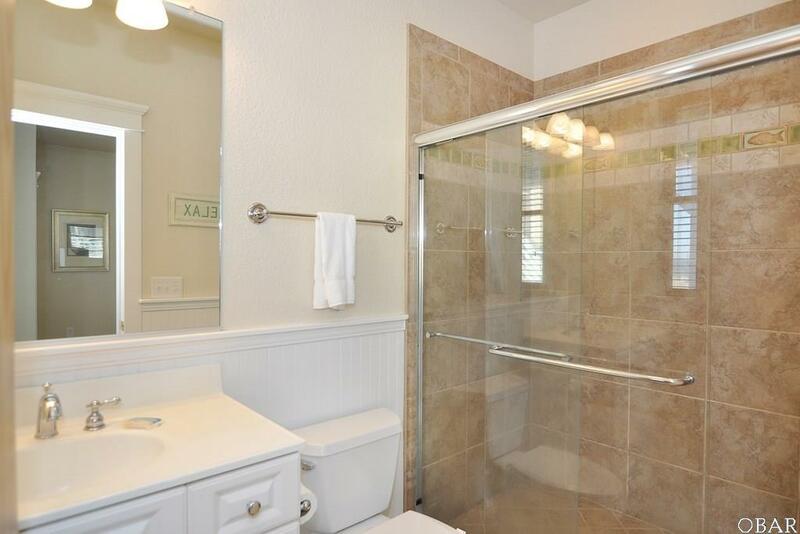 This home has 5 master bedrooms (king size beds) with en suites outfitted in custom tile. 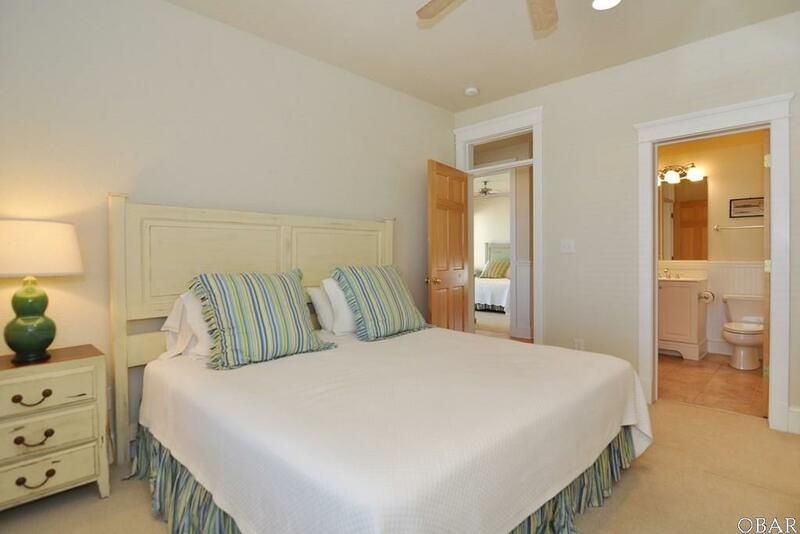 Each bedroom on the mid-level has 10' ceilings. 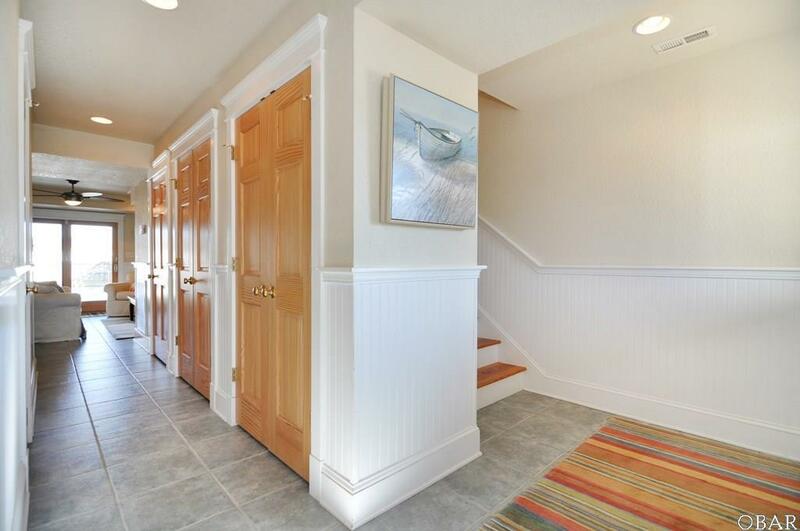 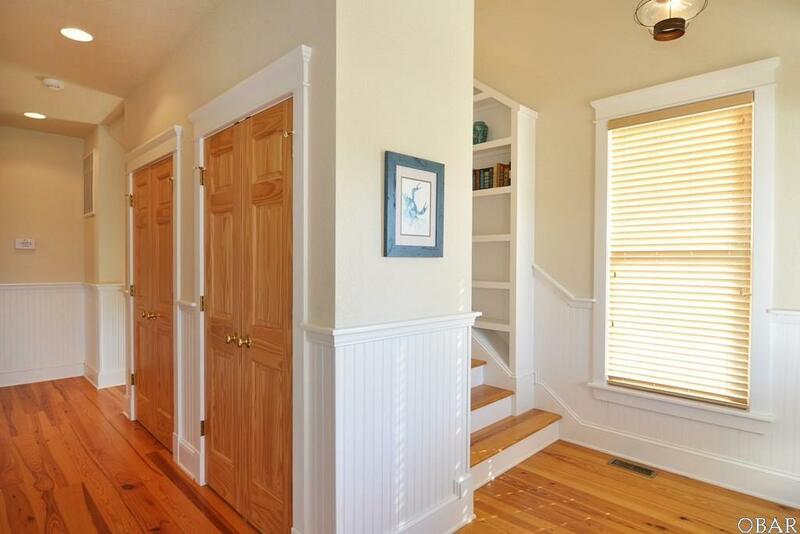 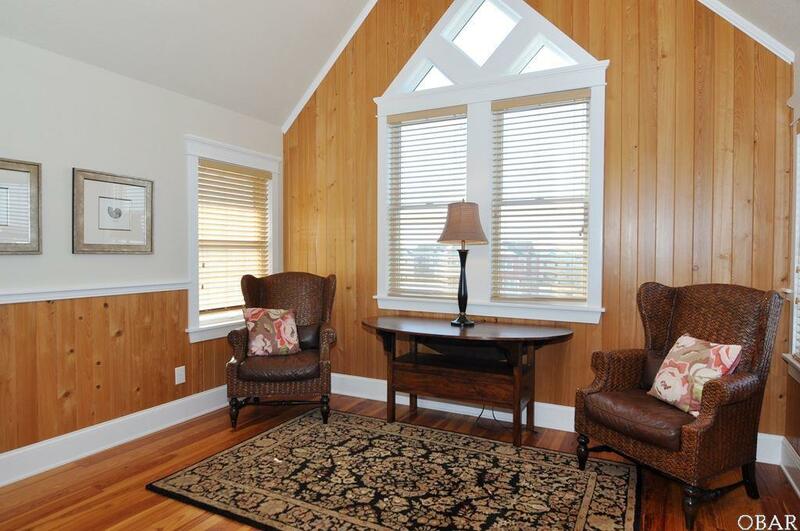 The hallways are elegantly lined with beadboard and transom windows. 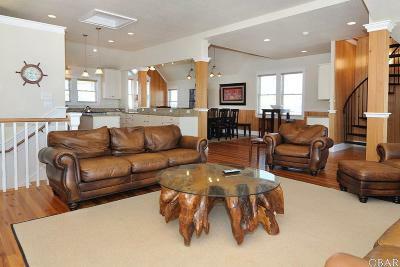 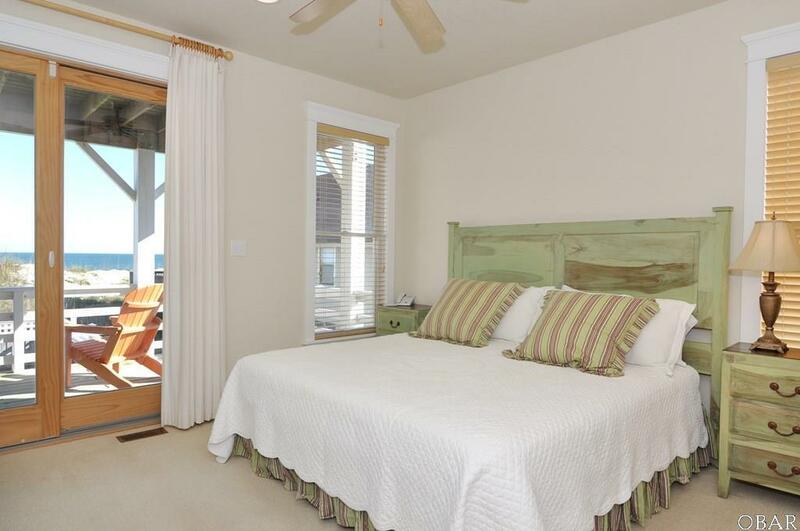 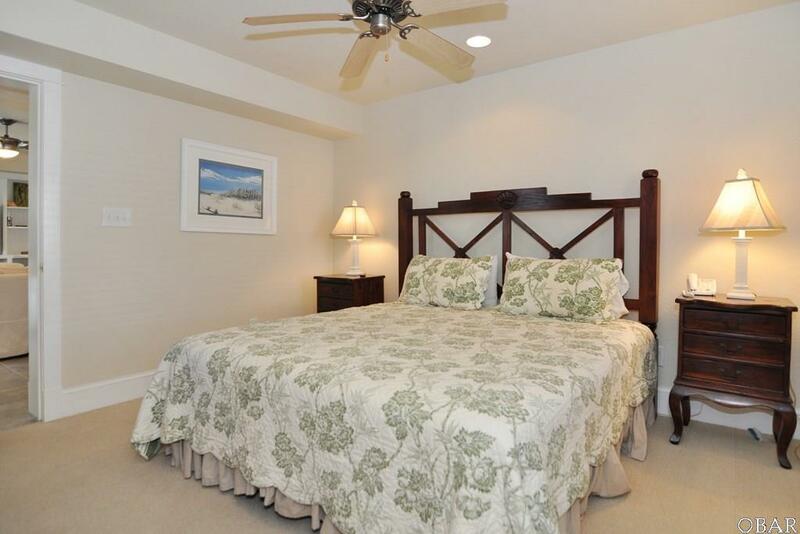 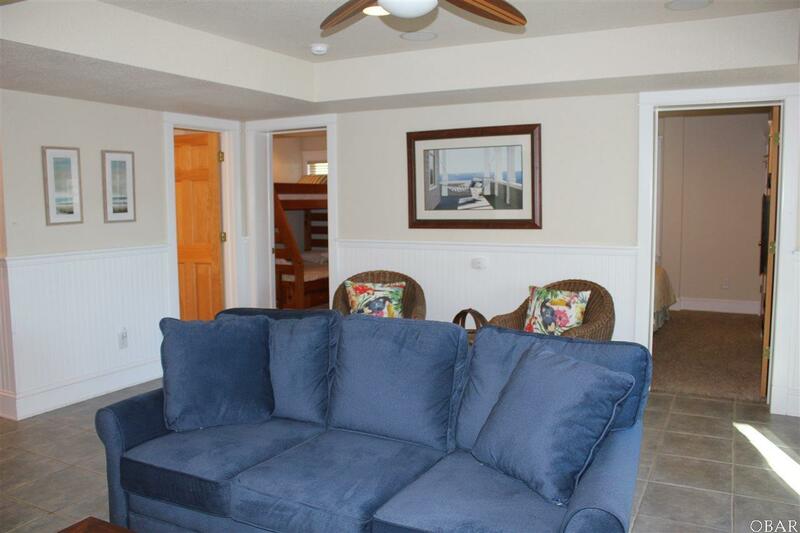 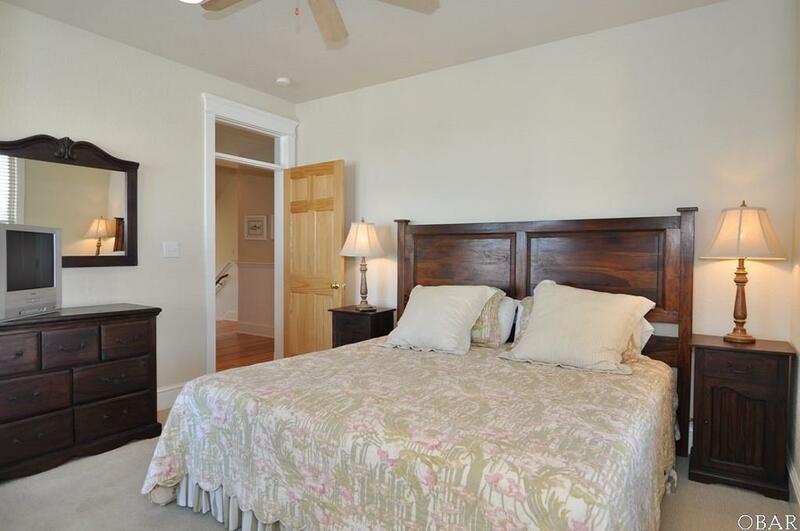 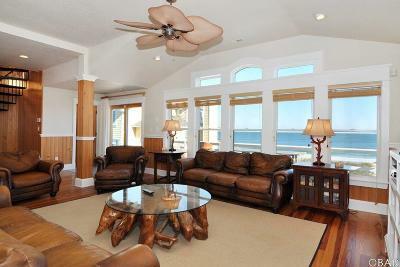 Ground Level has an additional living room w/built-ins, and stylish, updated furnishings looking out to the pool deck. 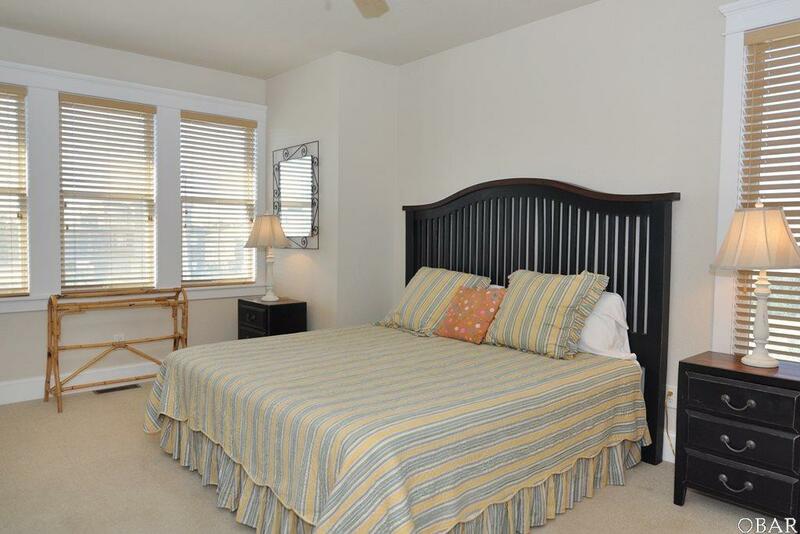 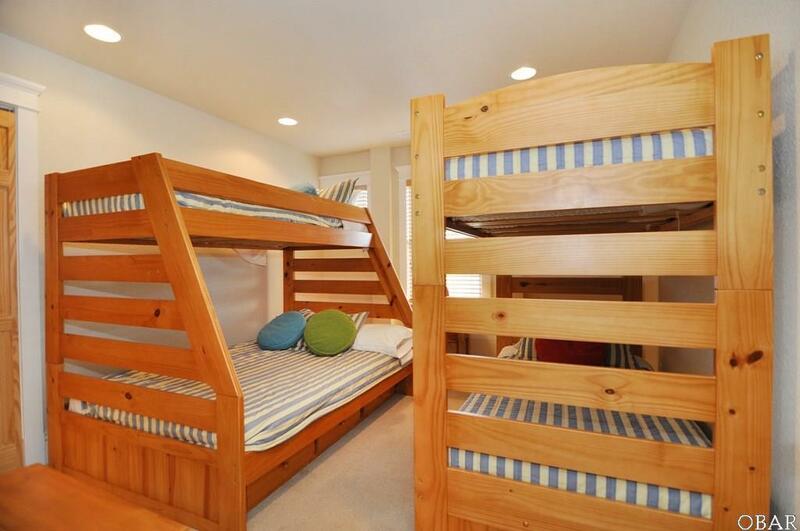 3 additional spacious bedrooms on this floor, plus laundry (additional laundry can be found on the mid-level as well). 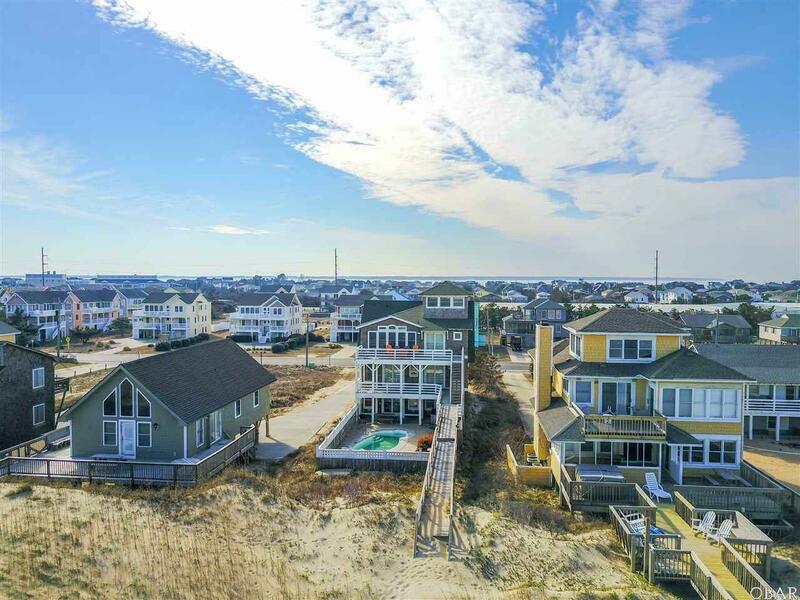 This home is Coastal Living worthy, with superb interior decorating and bonus features that include upscale lighting fixtures, 6 panel solid wood doors, 2 wet bars, & more. 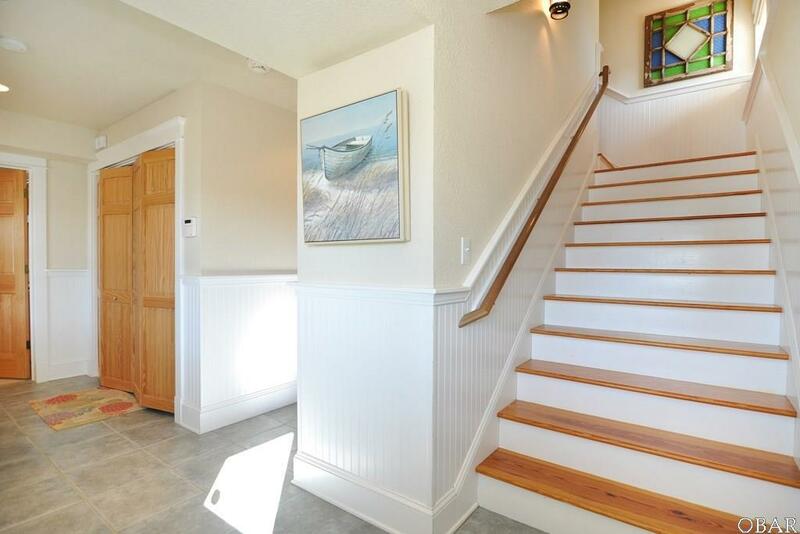 Recent updates include new carpeting in 2016, & 2 new HVACS. 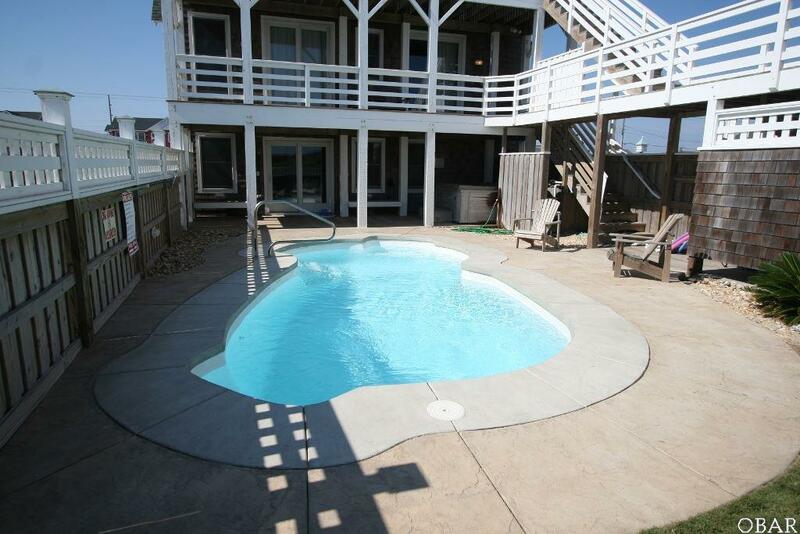 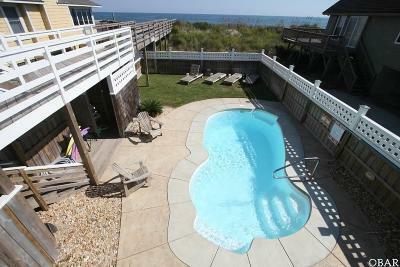 Walk outside to the ultimate beach life style with a heated pool (recently resurfaced) & hot tub. Home comes completely furnished and is a strong, consistent rental producer (over $150K in owner rents!). 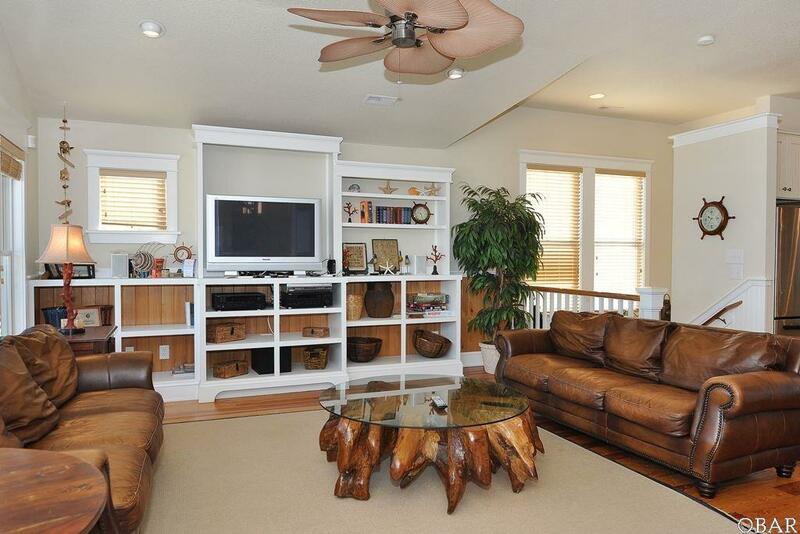 The quality in this home shines through each room. 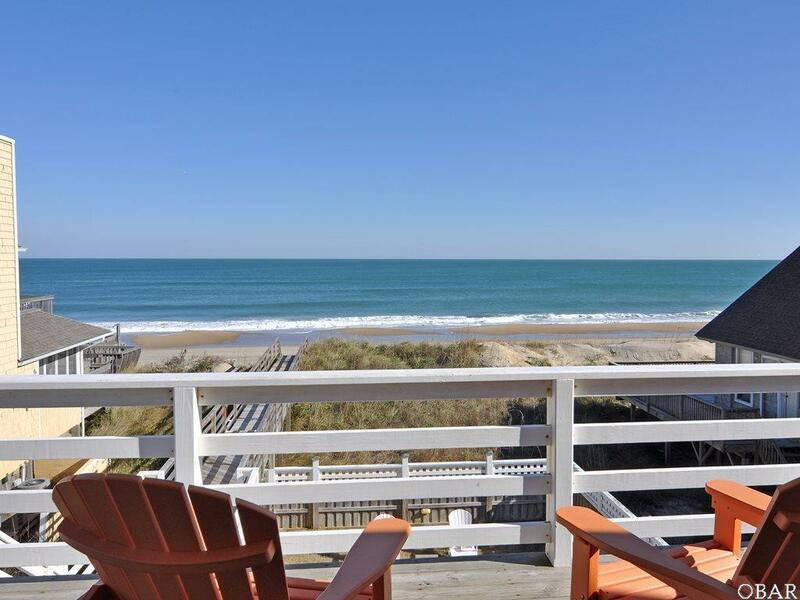 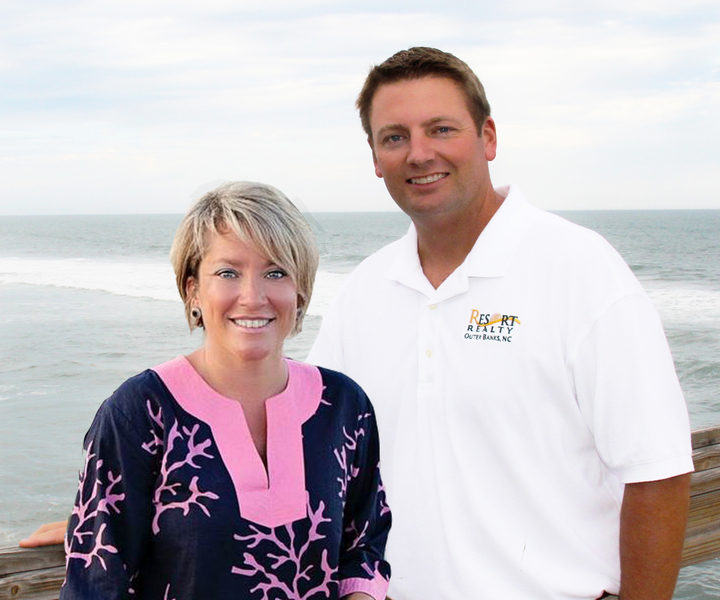 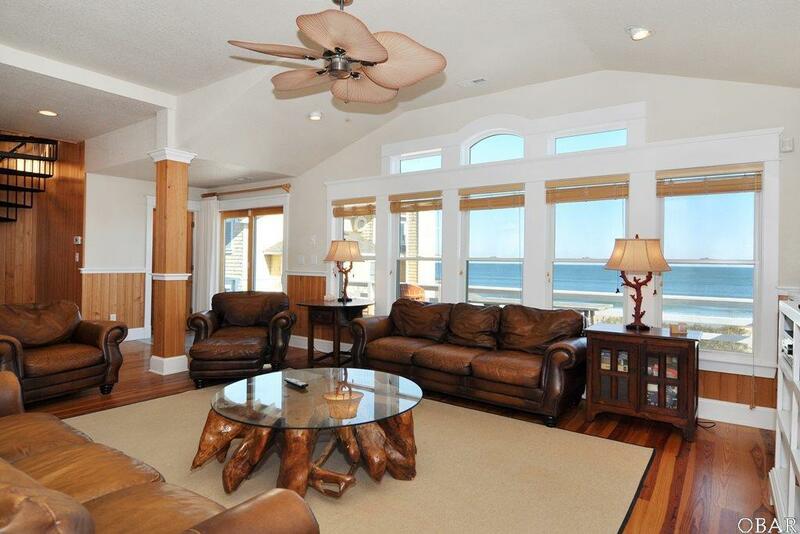 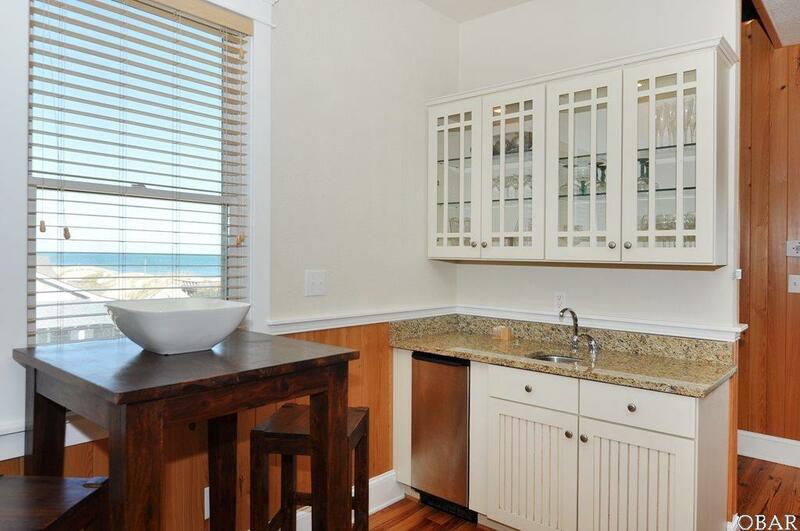 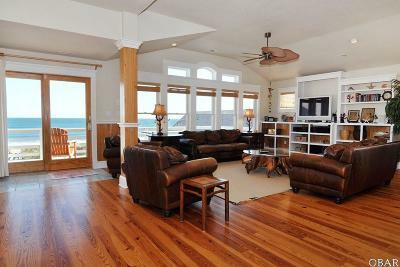 If you have been looking for an oceanfront top rental producer, this is the one! 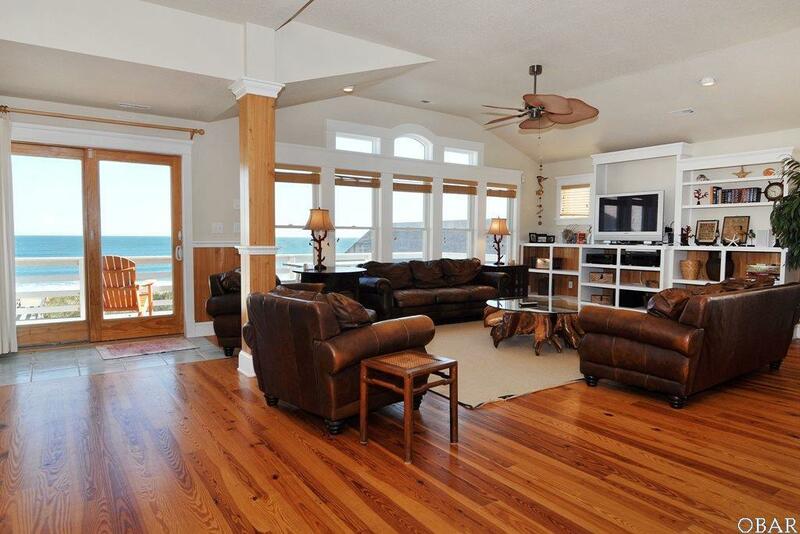 Your dream beach house awaits!